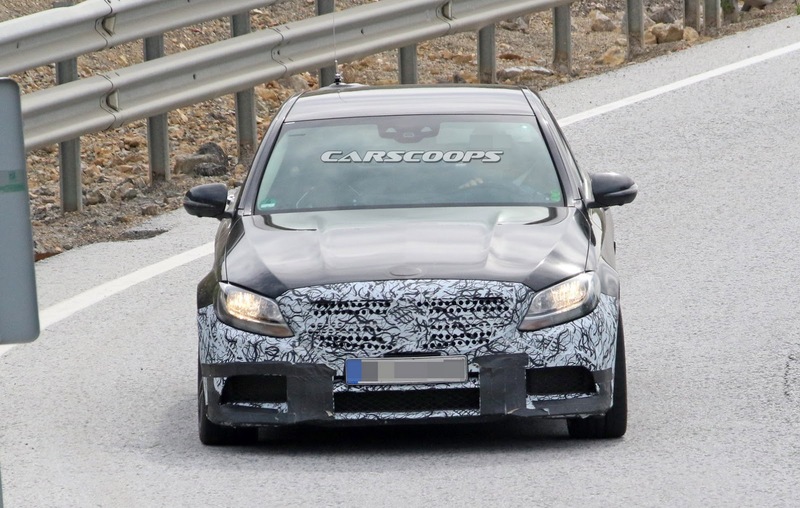 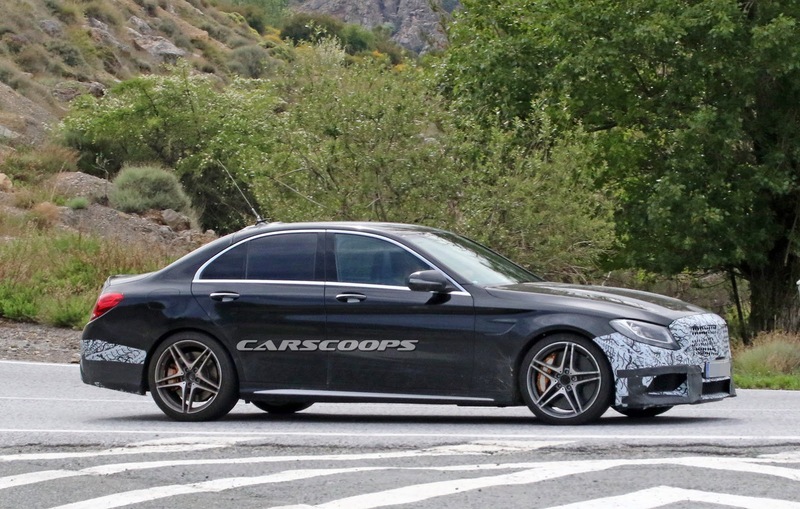 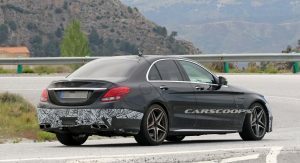 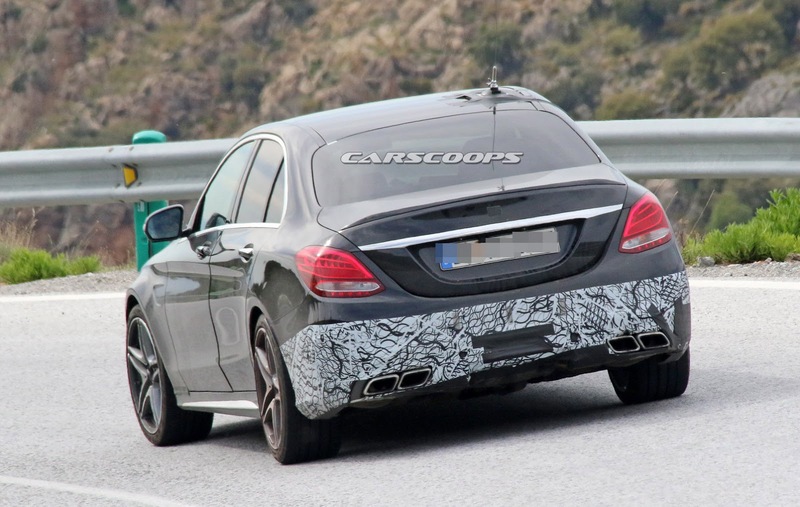 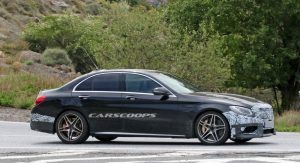 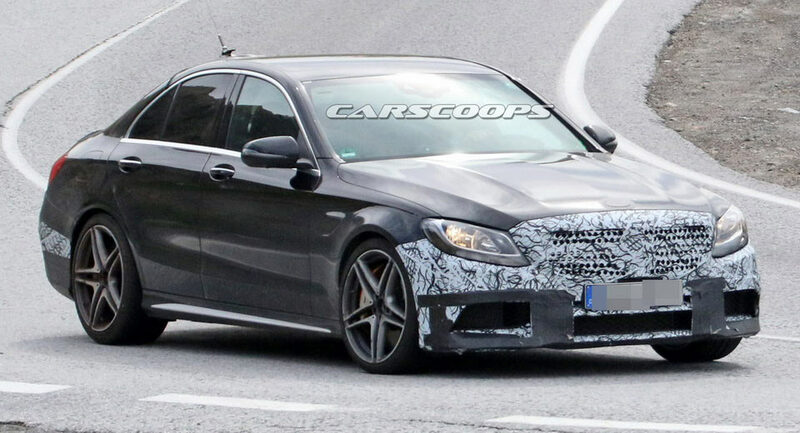 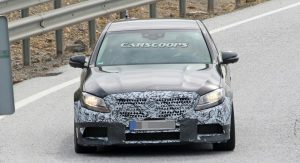 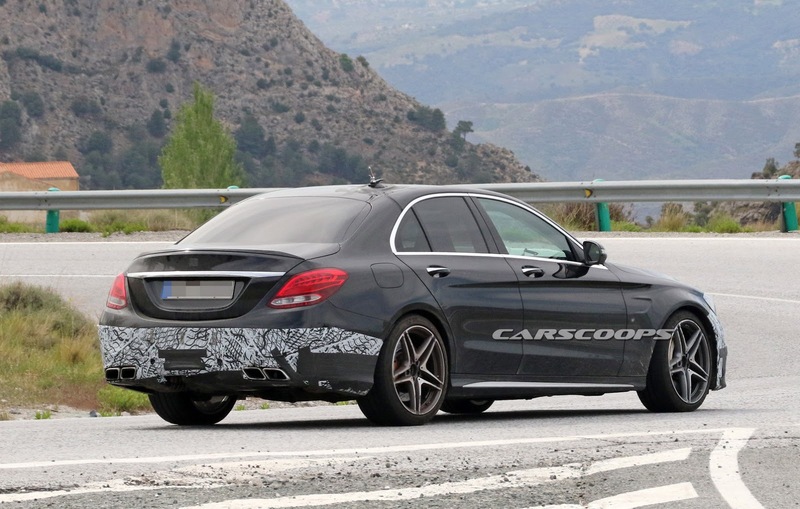 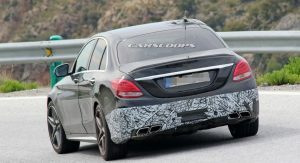 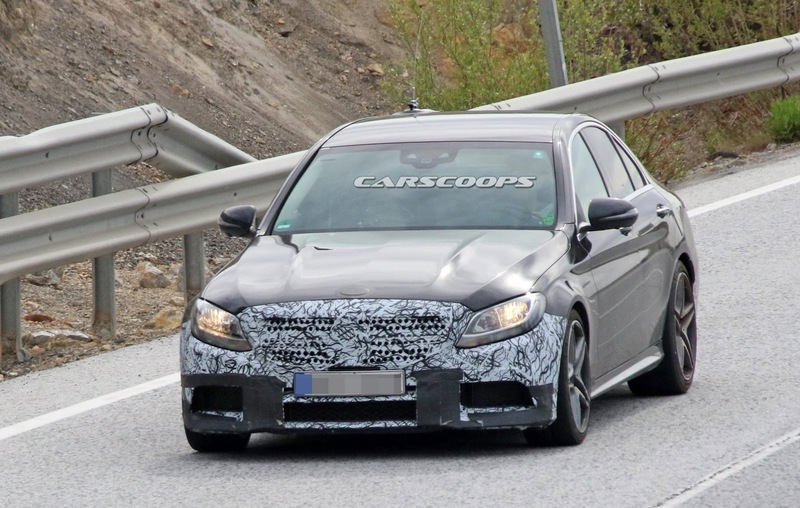 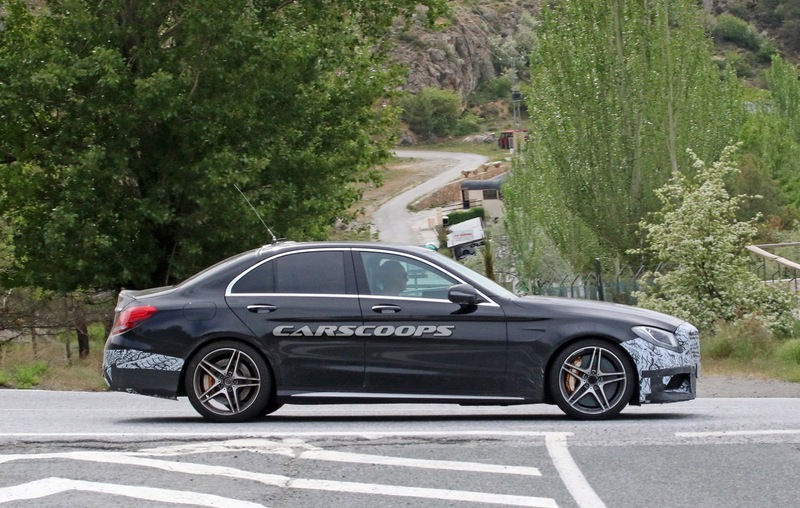 A 2018 Mercedes-AMG C63 sedan prototype was spotted for the first time, hiding what seem like slightly redesigned bumpers front and back, and wearing a set of halogen headlights. 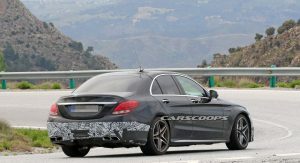 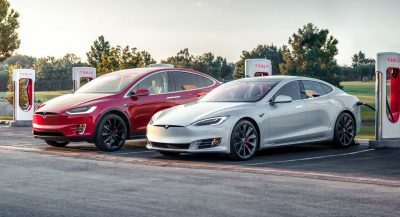 Naturally, such headlights, generally reserved for entry-level models, will make themselves scarce once the production version will be ready, boasting new LED headlights and taillights. 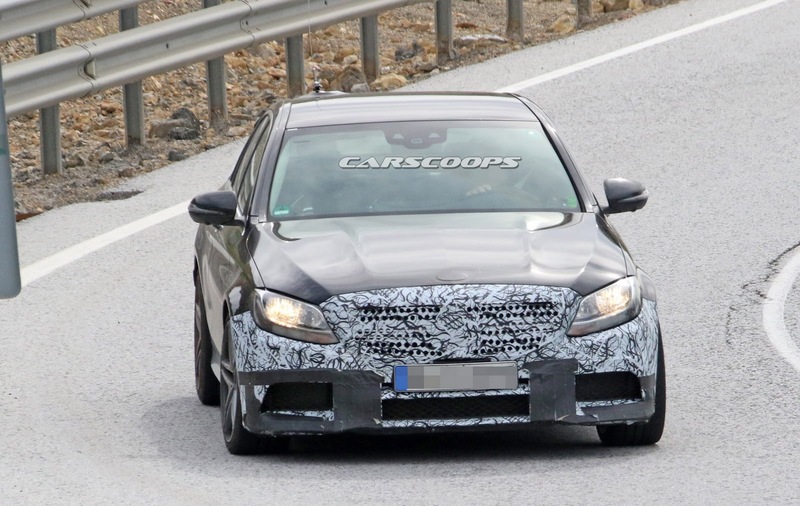 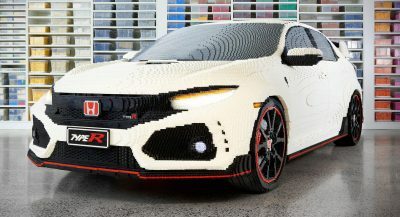 Also, the bumper design up front could feature slightly different-looking intakes, although it’s hard to tell exactly, even through that light camouflage. 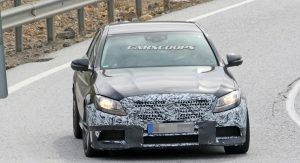 Another question mark we have is whether Mercedes-AMG will install the Panamericana grille from the GLC63 and GLC63 Coupe on the facelifted C63. 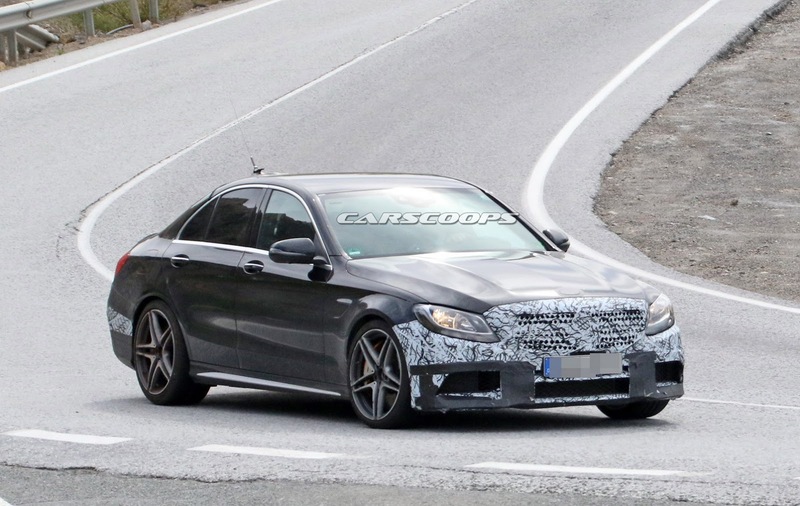 It certainly makes for a more imposing front end – just as it does on the AMG GT R.
Inside, expect minor changes to the infotainment system, plus the possible absence of the circular dial on the center console. 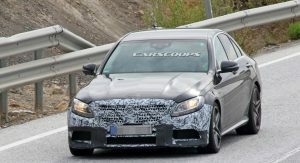 Also, whether or not Merc-AMG will update the steering wheel as well and add touch-sensitive buttons like on the E63, remains to be seen. 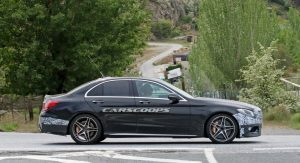 As for power units, there’s no indication as of yet if Mercedes is going to boost power output in the C63 and C63 S to over 476 PS and 510 PS respectively, which is what they currently generate. 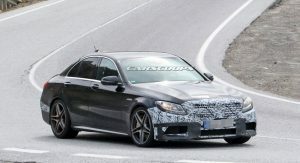 Once the facelifted Mercedes-AMG C63 lands, either late 2017 or early 2018 (it may end up wearing a 2019MY moniker in North America), it will continue on with its mission to fight the likes of the BMW M3, Alfa Romeo Giulia QV and the Cadillac ATS-V.
$90K for a car built in Alabama. 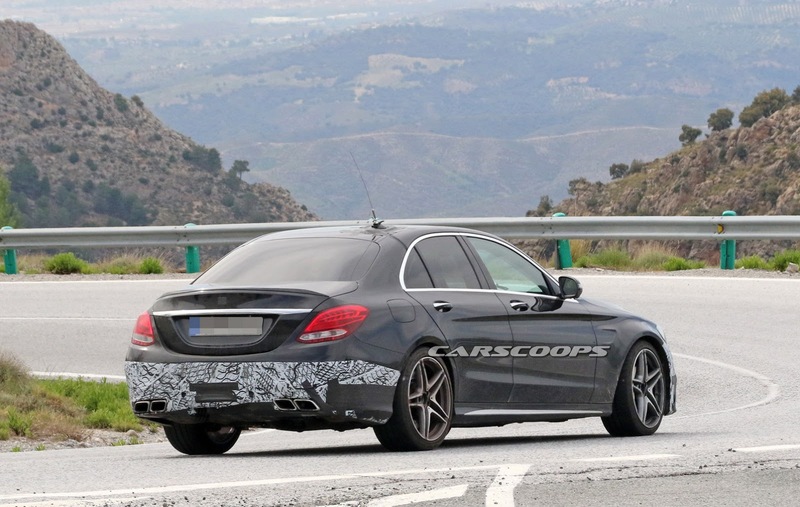 It’s gonna have that Panamericana grille, mark my words. 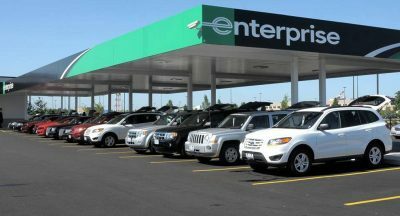 Previous PostPrevious Would You Spend $100,000 On The Cadillac Escalade ESV Platinum?